Hearts were held to a stalemate by Livingston this afternoon. 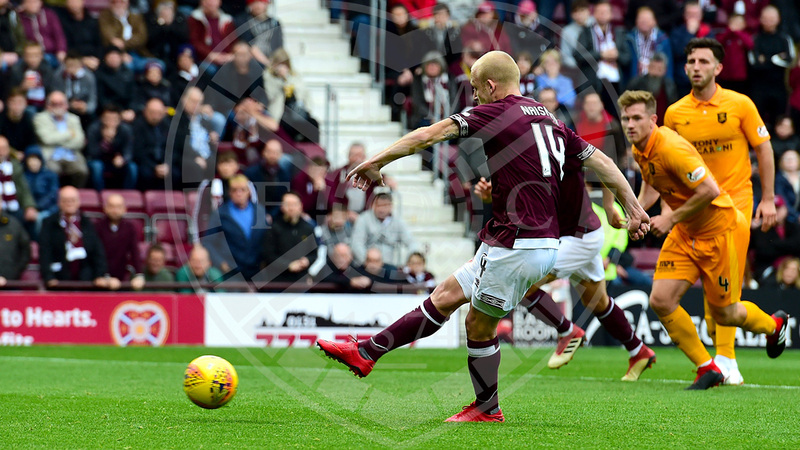 The Jambos endured a frustrating afternoon at Tynecastle, with Steven Naismith seeing first-half penalty saved, though the point continues the unbeaten start to the season, making it 11 games without defeat in all competitions. 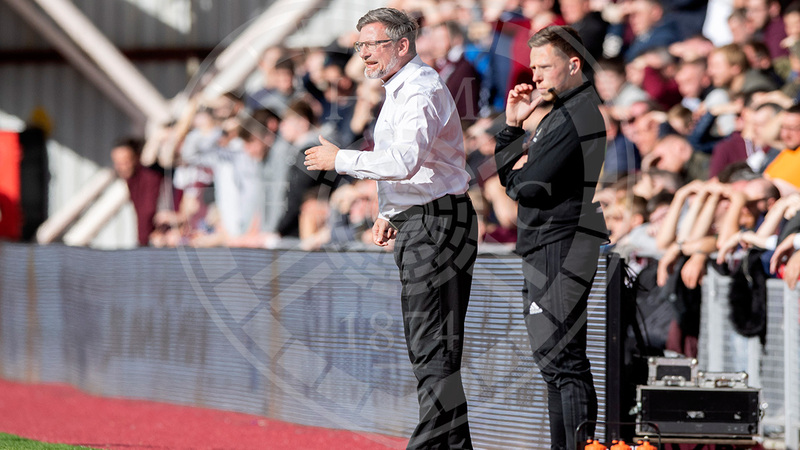 Craig Levein made three changes from the side that defeated Motherwell last week; Craig Wighton was handed his first start for the club since signing during the transfer window and replaced Arnaud Djoum. Steven MacLean came in for the injured Uche Ikpeazu, while Ben Garuccio slotted in for Callumn Morrison. The opening 15 minutes were a fairly even affair. The first sniff of goal came for Livingston; Dolly Menga cut inside before pulling the trigger from outside of the box but his shot was deflected narrowly wide of Bobby Zlamal’s left-hand post. Hearts then went straight up the park and hit the woodwork. Olly Lee curled a set piece into the box for Jimmy Dunne to connect with, but his header smacked the crossbar and went over. Menga went close again on 22 minutes. Scott Robinson slipped the forward through and, from an angle, he fired across the face of goal, narrowly missing the target. Demi Mitchell was denied a certain goal by the head of Scott Pittman after the winger latched onto the ball and unleashed a rocket shot from 20-yards, only for the Livi man to divert it away from the top corner and over the bar with his head. The Jambos spurned a good chance in the 40th minute when Michael Smith burst down the line to float a ball in for Lee, but he couldn’t direct his header on target. One minute into stoppage time Hearts were awarded a penalty after Liam Kelly bundled over MacLean inside the box. Naismith stepped up but the Livi ‘keeper threw himself to his right to palm the spot kick away. Zlamal came to Hearts’ rescue ten minutes into the restart. An incisive breakaway by Menga saw him send Pittman clean through, but the big Czech was quick off his line to close the angle and made a superb block at the edge of the box. Substitute Morrison, who replaced Garuccio, looked dangerous and in the 57th minute skipped away from his man to whip a ball into the box for Wighton, but his header flashed inches wide of the target. 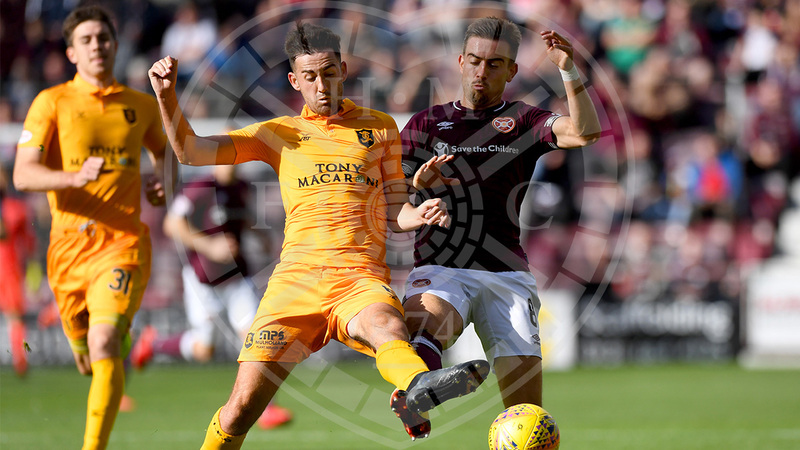 Menga was in the thick of the action again, outpacing John Souttar to a ball forward but the Hearts skipper forced him wide of centre, and the Livi striker shot straight at Zlamal. Time was running out and the Jambos were searching for that elusive breakthrough. Smith’s long throw in the 80th minute got the slightest of touches from Dunne but the ball bounced across the face of goal, with no takers at the other end. With a minute remaining the woodwork denied Hearts again. With the ball hanging in the air inside the Livi box, MacLean knocked it over Kelly, only to see the ball bounce back against the bar. Hearts: Zlamal, Smith, Dunne, Souttar, Haring, Lee (Mulraney, 84'), Mitchell, Naismith, Garuccio (Morrison, 51'), Wighton (Djoum, 66'), MacLean. Subs: Doyle, Bozanic, McDonald, Dikamona. Livingston: Kelly, Lamie, Lithgow, Byrne, Jacobs, Pittman, Lawless (Cadden, 71'), Robinson (McMillan, 62'), Halkett, Gallagher, Menga (Hamilton, 80'). Subs: Stewart, Saunders, Kaja, Lawson.